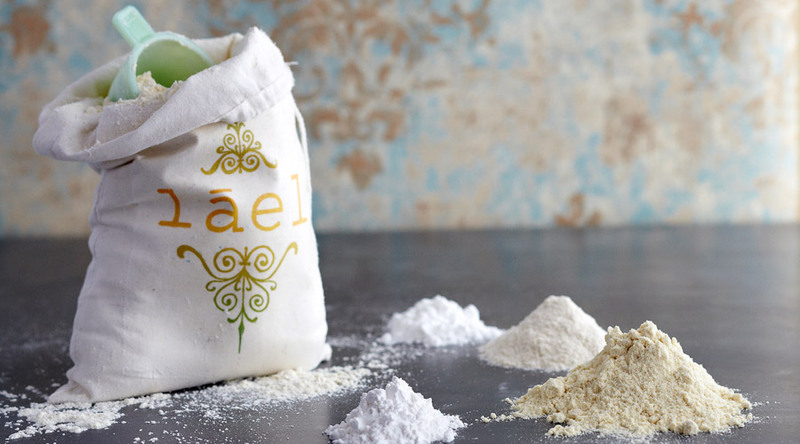 Emily Lael Aumiller of Lael Cakes has developed the perfect gluten-free flour mix for baking. Each batch of non-gluten flours is mixed by hand in our Brooklyn kitchen. This custom flour is made up of the highest quality, organic ingredients, including millet flour, tapioca flour, brown rice flour, potato starch, cornstarch, and guar gum, that can be used in any baked good recipe to replace traditional wheat flour. Use the form below to let us know if you’d like to be notified when ordering is available.